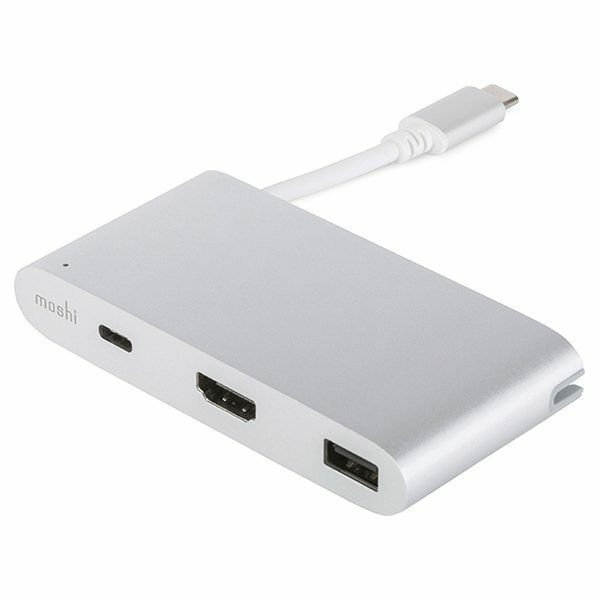 Supports multi-channel digital audio output and fast laptop charging up to 60 W (20 V/3 A). 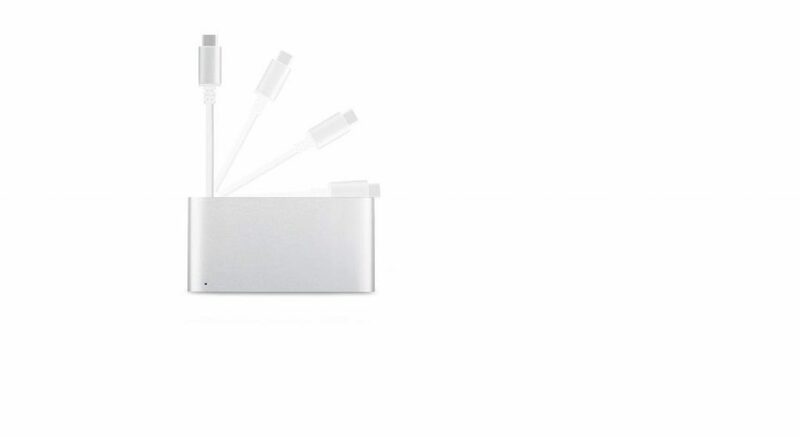 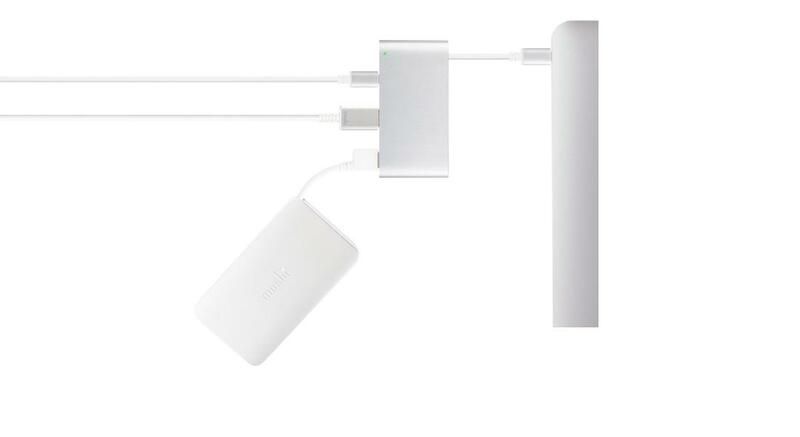 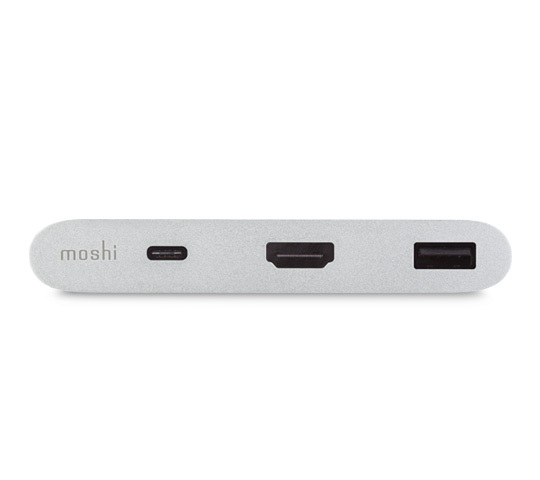 The Moshi USB-C Multi-Port Converter has 3 conversion ports for connecting multiple external devices to laptops equipped with USB-C or Thunderbolt 3. 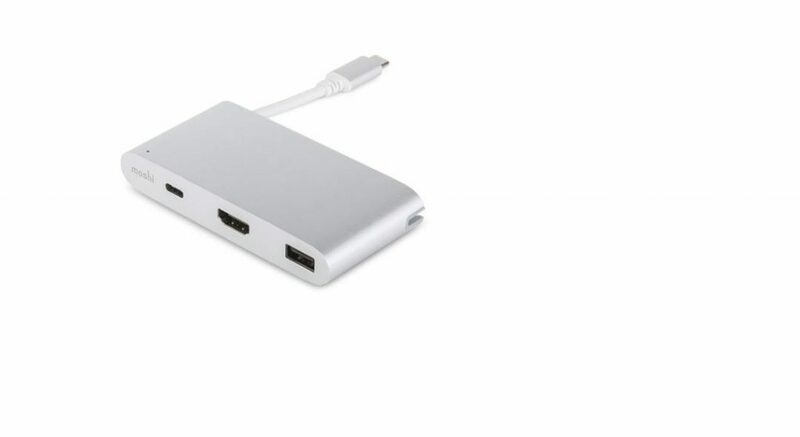 With the latest USB-C chip, the HDMI digital audio interface on the converter supports 1080p high definition and 4K ultra high definition image output, making it easy to connect to HDMI-enabled TVs or monitors. 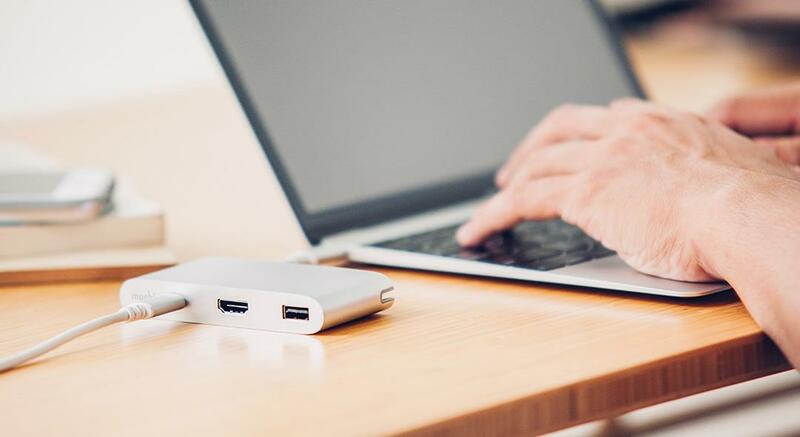 The standard USB port on the converter can be used for charging/data transfer of the phone or connecting to other USB devices such as an external USB hard disk or Hub. 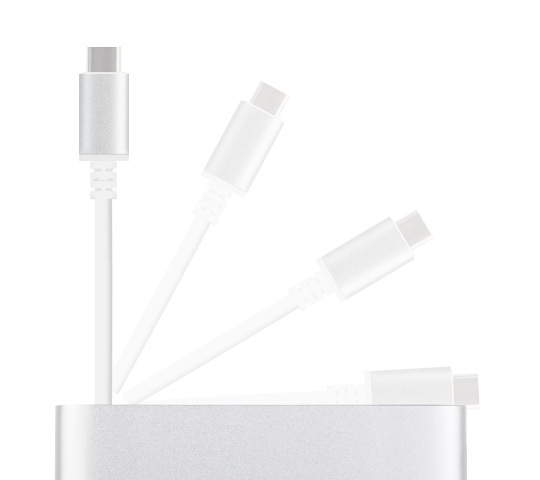 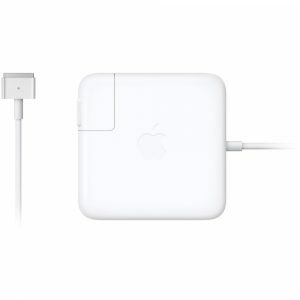 The USB-C female connector on the converter can quickly charge your laptop up to 60W (20V/3A) output power. 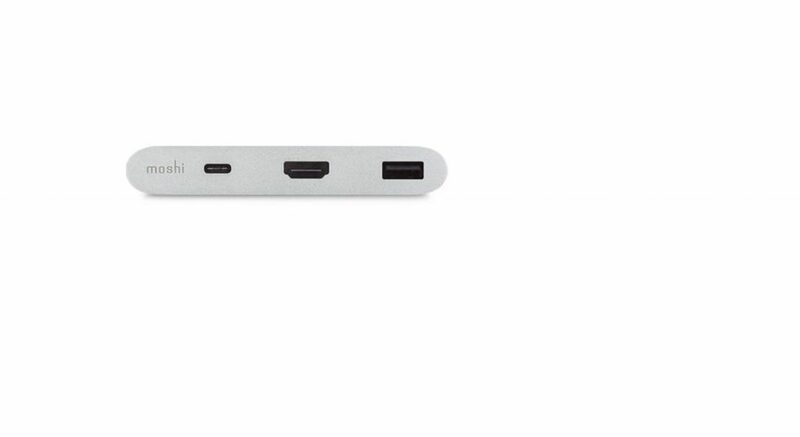 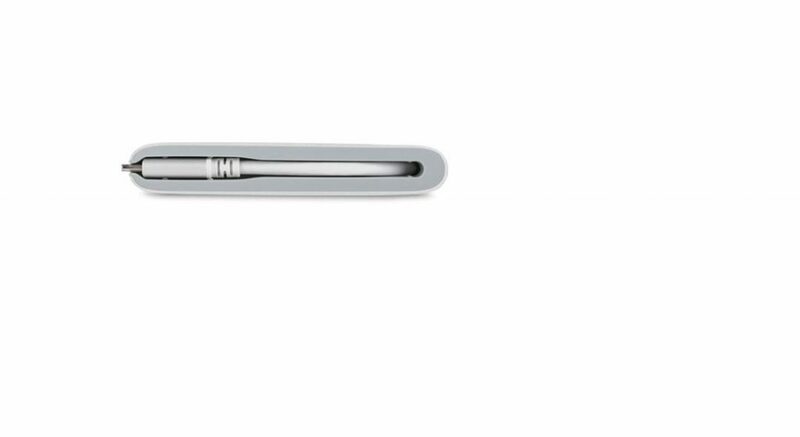 The built-in smart LED indicator allows you to understand the charge status of your current laptop. 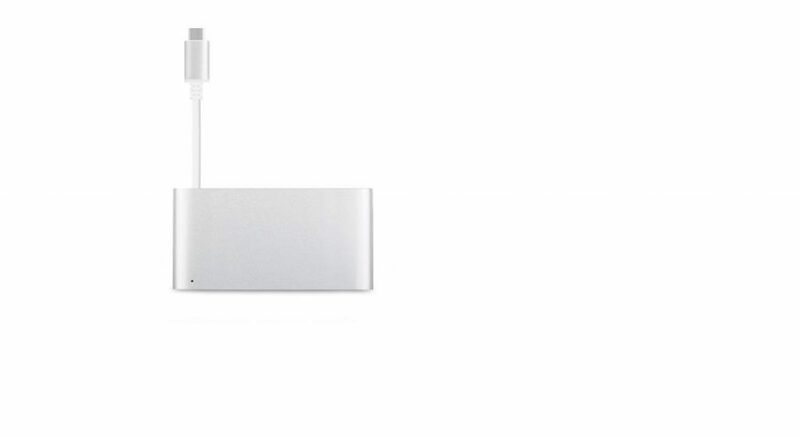 Even if the computer is in the closed state, the indicator light will work as well. 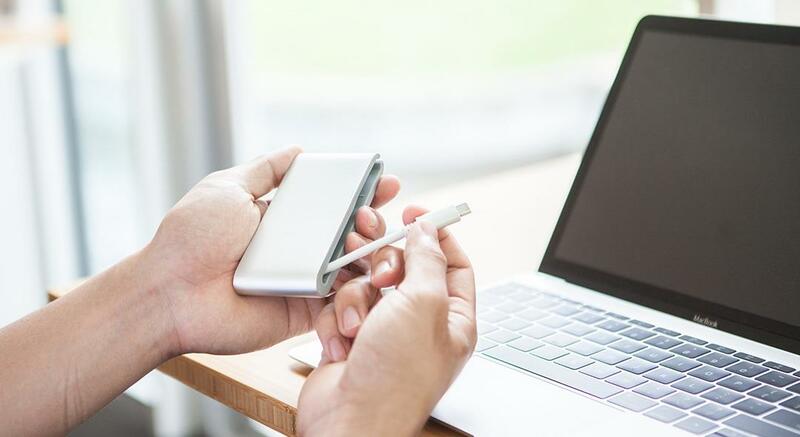 With a stylish aluminum housing design and a rich feature set, the Moshi USB-C multi-port converter will be your best companion for USB-C devices. 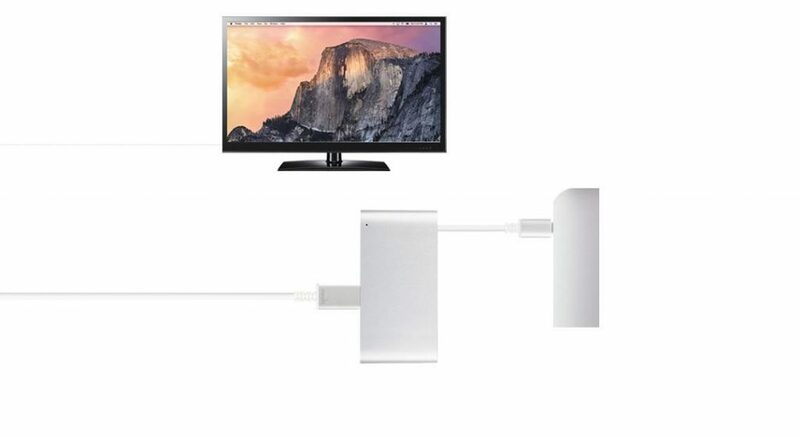 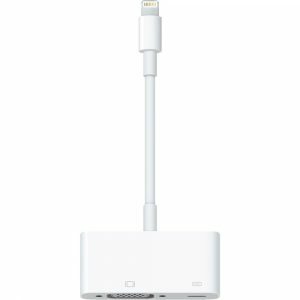 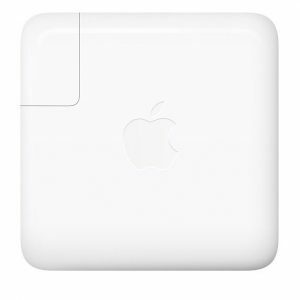 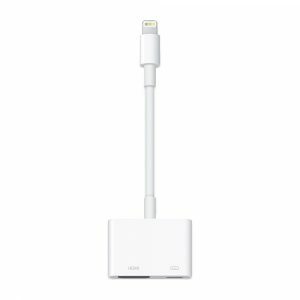 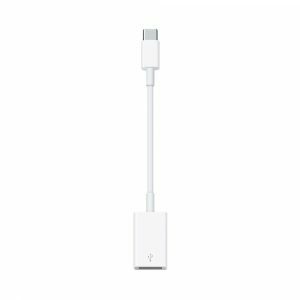 Plug the USB-C end of the adapter into a USB-C or Thunderbolt 3 (USB-C) port on your Mac, and then connect your flash drive, camera, or other standard USB device.